So have you noticed I’ve been on a crocheting frenzy lately? And these shoes are the exact reason why. I mean how adorable is that?! I bought this mary jane shoe patter from Two Girls Patterns on Etsy. I was first attracted to their Etsy shop from these boots. I got some patterns from them and I decided to try this Too Cute Mary Jane pattern first. The patterns are easy to follow with pictures in the instructions. What I love about patterns from Two Girls Patterns is the styles. I would say these patterns are for more advanced crocheters. 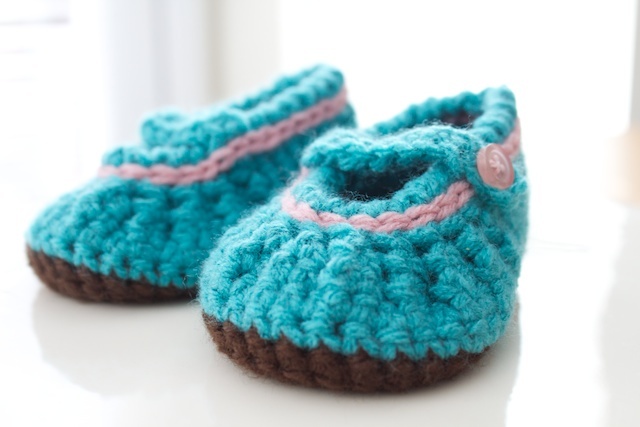 They use less common crochet stitches in parts of the patterns. And that’s what makes their shoes so adorable. Another great thing is the pattern gives instructions for various shoe sizes. » Tell me… Do you like to shop on Etsy for patterns? Or do you even shop on Etsy period? These are darling! 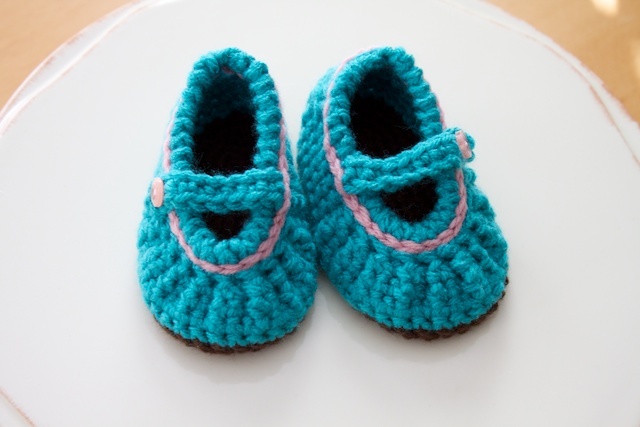 I have bought one pattern from etsy, this one http://www.etsy.com/listing/60269278/baby-mary-jane-skimmers-crochet-pattern. I used to peruse etsy a lot more when I had a teeny etsy shop. Now I barely have time for blogs! Waaay too adorable. I think a picture of that chubby little foot in those would be wonderful. 🙂 Wow, you are great a crocheting!